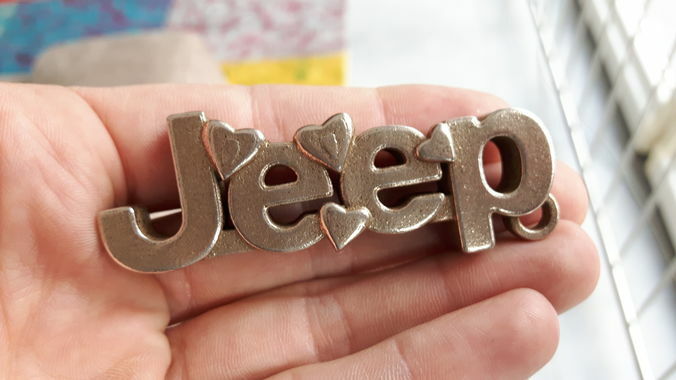 Jeep Keychain 3D printable model. Hollow. I printed it on shapeways in Stainless Steel. You can print in other materials too. Width7.3 cm Height3.0 cm Depth1.1 cm Multiple files included. You can scale it as you like,but always check the printability in appropriate software.